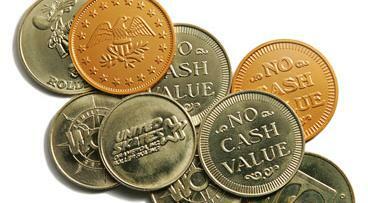 Linden Dollar: Another Virtual Currency Affected by FinCEN. Bitcoin has been in the news recently. But bitcoin is not the only virtual currency. Virtual currencies, in one form or another are here to stay. When U.S. Treasury Department’s enforcement arm, FinCEN, issued its interpretive statement, it recognized this much. The scope of this document covers all virtual currencies, centralized and de-centralized alike. In an earlier article, I discussed the new regulatory reality faced by bitcoin and its operators. By way of quick summary, FinCEN now differentiates between user, administrator, and exchanger. This categorization for decentralized virtual currencies is imprecise because there is no clear boundary where user ends and administrator begins. On the contrary, for centralized virtual currencies, such as Linden Dollars, these distinctions nicely track the existing framework. Linden Dollar is a virtual currency used in Second Life. Second Life is an online virtual world created by Linden Lab. Essentially, it is a game where players interact with their world through “avatars.” What makes this game special is its vibrant virtual economy. Players can buy and sell virtual real estate, claim intellectual property, etc. At the center of this economy stands the Linden Dollar. The only way to buy or sell anything inside the game is with this currency. Players can convert their real world currency to Linden dollars either at Lindex – an official currency exchange; or at several third party exchanges. Before FinCEN issued this guidance, the only rules that applied to Linden Dollar were those promulgated by Lind Lab through its Terms of Service. This is no longer the case. Terms of service still apply, but not to the relationship between Linden Lab and the government. What, If Anything, Changed for a Casual Second-Lifer? An average user probably does not care about all this legal jargon, so long as he is able to buy and sell his Linden Dollars at will. Linden Lab’s Terms of Service however, will not prevent the government from classifying Linden Dollars as a virtual currency. That classification carries significant consequences. What Changed for Linden Lab? 1. Government’s Definition of a Linden Dollar. FinCEN now considers Linden Dollar as a convertible centralized virtual currency. The guidelines define virtual currency as one that either has value in real currency or one that can be used to buy goods and services. Additionally, a centralized virtual currency is one that has a central repository. Linden Lab does not want to consider the Linden Dollar as a virtual currency. Second LIfe’s terms of service refer to Linden Dollar as a transferable license. Also according to Linden Lab, when a player “sells” the Linden Dollar, that player transfers a license, not currency. However, Linden Lab terms of service will play no role in FinCEN’s decision to classify Linden Dollar as virtual currency. FinCEN goes by the approach “If it looks like a duck, and quacks like a duck, it is a duck.” And Linden Dollar sure does “quack” like one. Linden dollar is a virtual currency because it has value in real currency (a buck will buy you about 270 linden bucks); and people buy good and services with it. 2. Why does it Even Matter if Linden Dollar is a Virtual Currency or not? It matters for Linden Lab because they are now both an administrator and an exchanger of virtual currency. Both of these are a Money Services Business (“MSB”) under the treasury regulation. An MSB must register with the Treasury Department and make Anti-Money Laundering and periodic reports. These reports are not little one page chores a trained monkey can do. There is a reason corporate compliance departments are stacked with lawyers and accountants. As you can imagine both of these items cost a lot of money. At this point Linden Lab must be considering their options. One option is to abandon the Linden Dollar altogether and just deal in cold hard cash. The upside of that decision is that it would spare them a lot of grief in the form of FinCEN reports. The downside of that is that is like turning off a printing press that prints money. And who in their right mind wants to do that? 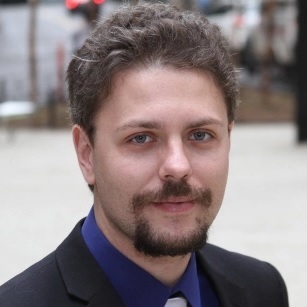 Alex Kadochnikov is a partner at Gill & Kadochnikov. His primary focus is on commercial litigation, counseling start-up entrepreneurs, and employment-based immigration. He is also an expert on the rise and proliferation of virtual currencies and their effect on the legal and financial landscape.